An exclusive formula of non-neutralized and natural pH AHA (10%) enhanced by a vitamin complex that gently exfoliates dry, damaged or rough skin. This AHA night cream is non-oily, moisturizing and soothing to promote healthy, smooth and radiant skin. An exfoliating night treatment with 10% Alpha Hydroxy Acid. This AHA night cream is non-oily, moisturizing and soothing to promote healthy, smooth and radiant skin. An exclusive formula of non-neutralized and natural pH AHA (10%) enhanced by a vitamin complex that gently exfoliates dry, damaged or rough skin. 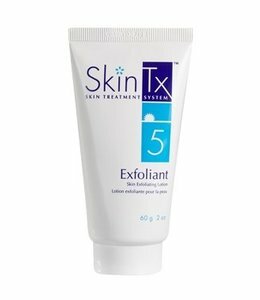 An exfoliating night cream for normal or dry skin. Safe for use every day. The AHA 10% Cream is reserved for those who have already taken advantage of the anti-aging effects of the AHA 5% Cream and whose skin have adapted to the exfoliating properties of Glycolic Acid. After cleansing Pro-Derm™ pH balanced Gentle Cleanser, on dry skin apply Pro-Derm™ Night Cream to the face and neck. Apply at night. A mild tingling sensation when applying the cream indicates that the product is active on the skin.